LYNE is a click-&-drag puzzle game known for its minimalist style of gameplay. Instead of connecting the dots, you need to link together a series of green triangles, red squares, and blue diamonds from one end to the other as shown. It belongs to the casual indie game genre. One of the best aspects of this game is the sound effects which are soothing and dynamic. It seems like someone is playing a recorder, except you are the one making music as you try to finish the level. There’s no real hurry so take your time on these puzzles. The pale cross-grids are visible, letting you know where you can draw a straight or diagonal line. To erase connections, click on any shape that has been highlighted. But there are a few rules you should know beforehand. You won’t be able to connect different shapes together. And the same goes for crossing over a line you’ve already drawn. If you see a red outline or any part is glowing red, then it’s not a possible move. 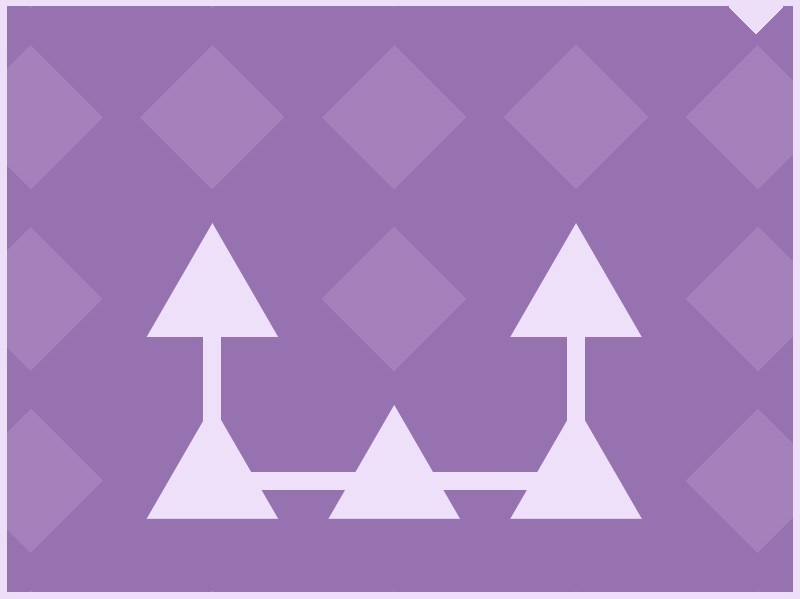 You are free to link the same shapes together to form a complete path but you have to begin and end the line on a shape (i.e. triangle, square, or diamond) with white on the inside. An analogy would be to make a line from Point A to Point B.
It’s hard to describe so I’ll just demonstrate using screenshots of me connecting the shapes. You are given hints by the game; simply read the titles that say “Be Connected” or “Notice Every One”. When you fill the board, it will glow white and you can move on. These things make the game considerably difficult due to the number of times you’re required to link through them. The inside shapes light up depending on if a line was drawn over them or not. If you are too careless, you could become confused by the number of lines on the board and end up losing your place. In attempting Set C, even I was stuck several times, trying to make paths that wouldn’t interfere with each other. 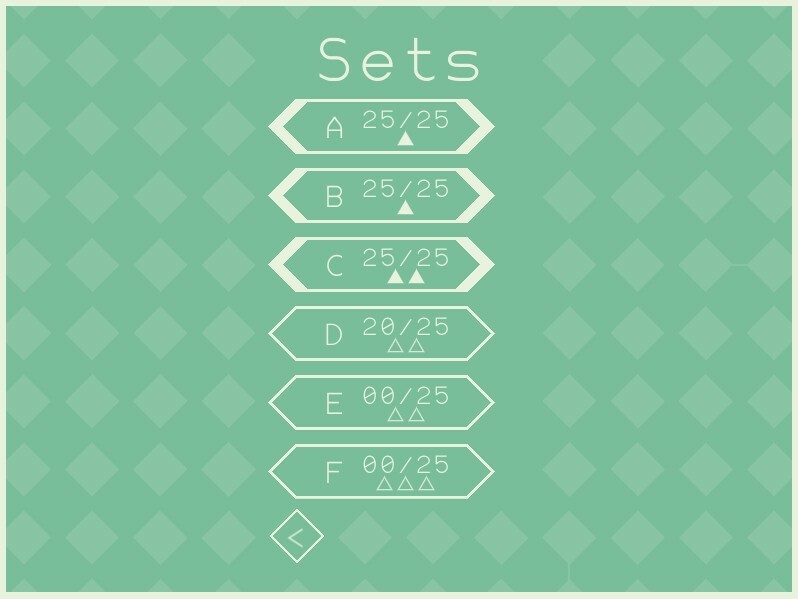 Judging from walkthroughs on YouTube, people are far ahead of me, doing sets X to Z which contain a lot more rows by columns of shapes and octagon threaders to link together. I did manage to find a guide that gives away the solution to all the puzzles. It has over 600 images, 25 per set, 26 letters of the alphabet. I tend to prefer puzzle games that make people think instead of just giving away the answers. I get a sense of accomplishment whenever I solve puzzles through my own logical reasoning and LYNE is no different in that aspect. There is no plot behind LYNE, which I personally don’t mind since many puzzle games are enjoyable from gameplay alone. The sound effects are pleasant enough to listen to as they echo back and forth. Several unlockables exist in LYNE aside from the achievements given after completing every set from A to Z. 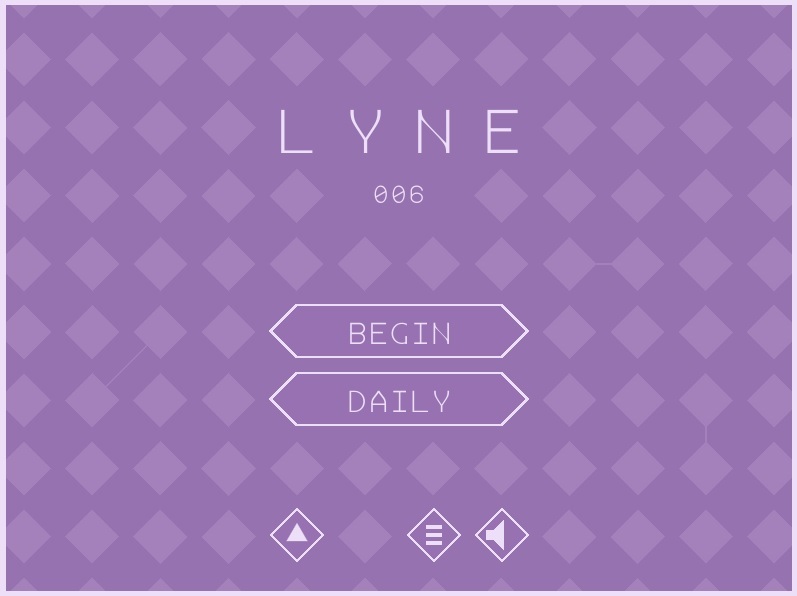 Before I forget, I wanted to tell you guys about some extra features from LYNE, one being the DAILY generated levels. These are completely random as they rotate from “complex” to “demanding” sets. They reset every day, thus no two levels are identical. Although I got it on Steam for my laptop, you guys might also be interested in the Android app version since you can connect shapes with your fingers instead. The game is quite long due to new sets being revealed only if you beat the previous ones. You will occasionally be rewarded with color palettes based on themes such as Tulip, Deep Space, and Tangerine. These palettes change the color scheme of the entire game to your liking. I cannot say much else about LYNE because of the minimal amount of gameplay. But it is definitely a puzzle game worth trying when you are bored out of your wits. To conclude my review, I’ll leave you guys with this in-depth walkthrough I found for LYNE. 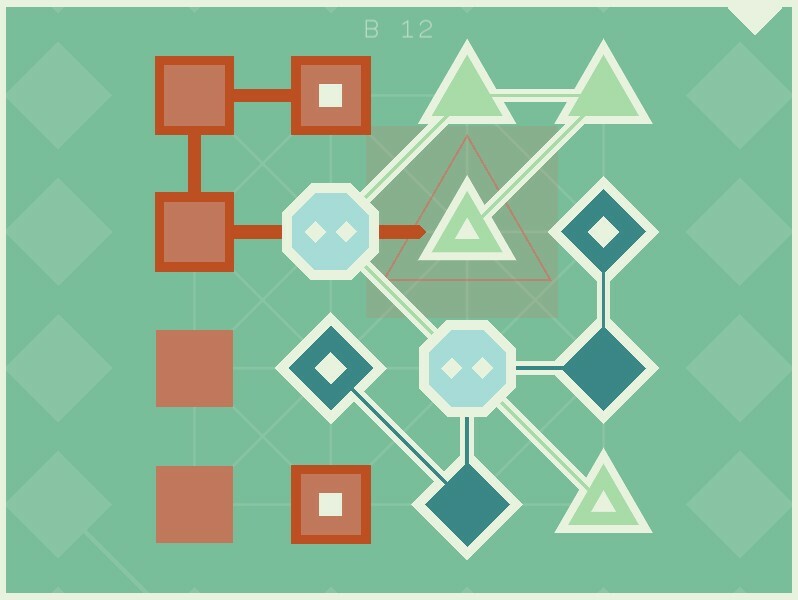 There is minimal interactive gameplay but LYNE does require you to tackle challenging geometric puzzles. I’d describe the graphics as clean or abstract, though lacking in depth and complexity. It doesn’t have music; the only sound effects come from connecting shapes. 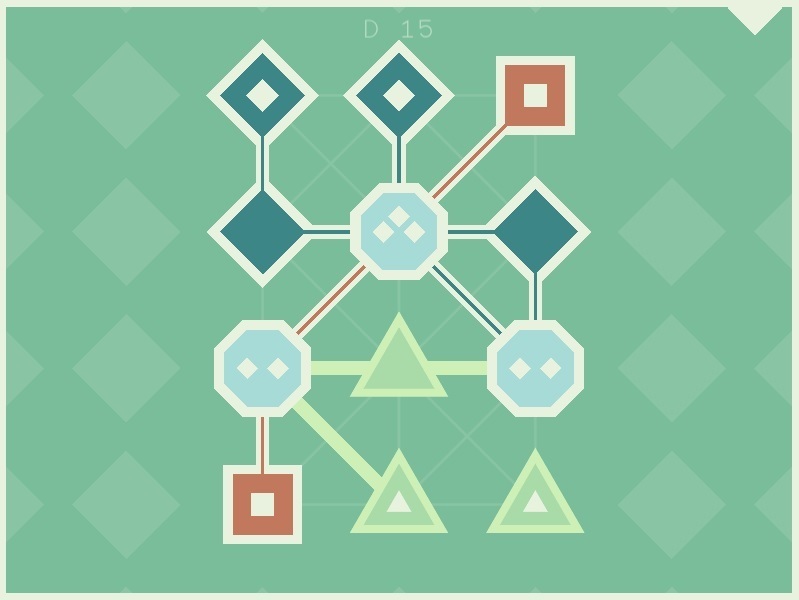 On a broad scale, LYNE is a decent indie puzzle game with new strategies added to subsequent levels as you progress. Puzzle fans will appreciate the daily mind-bending challenges.